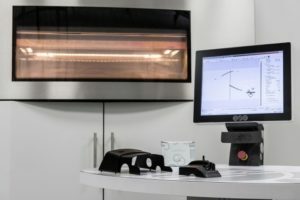 Daimler Trucks North America Launches 3-D Printing for Parts | Sonny Merryman Inc.
PORTLAND, Ore. — Daimler Trucks North America (DTNA) will soon make its first delivery of plastic parts produced with 3-D printing technologies. The delivery to customers in the coming weeks is part of a pilot program for DTNA, the truck manufacturer that is also the parent company of school bus OEM Thomas Built Buses. Parts to be printed in the pilot phase include nameplates, map pockets, and plastic covers. DTNA said that it sees 3-D printing as an opportunity to better serve its customers, particularly those in need of parts that have been difficult to provide through traditional supply chain models, such as those for older trucks or parts with very low or intermittent demand. During the pilot phase, DTNA will release a controlled quantity of 3-D printed parts and will invite customers and technicians who receive them to provide feedback. The company will also collect data on the performance of the parts and will assess potential future demand for 3-D printed parts. For the project, DTNA partnered with 3-D printing service bureau The Technology House, which has more than 20 years of experience in additive manufacturing. The two companies have made the first parts available to customers with selective laser sintering (SLS). The SLS process refers to layering powder in a print chamber and then “selectively” melting a pattern with lasers before adding the next layer. According to DTNA, the 3-D printed parts have been validated to meet durability requirements, and many will appear no different to the untrained eye. Parts that are eligible for 3-D printing are also being stored in DTNA’s digital warehouse. This allows a part to be printed on demand with shorter lead times, according to the company. Without the need to maintain tooling, these parts will remain available to customers when needed. DTNA said that on-demand 3-D printing also removes the need for holding physical inventory. Currently, the order process takes two to four weeks, but once the program is fully launched, parts will be ready to ship in just a few days, according to the company.